Need your documents legalised for Brazil? You've come to the right place. Vital Consular are experts in legalising documents for use in other countries. Legalising your own documents could take a lot of time and cost a lot of money. We can get it done in three simple steps. Click one of the buttons below to start your order. If you want to legalise a UK Document for Brazil, click the button on the left. 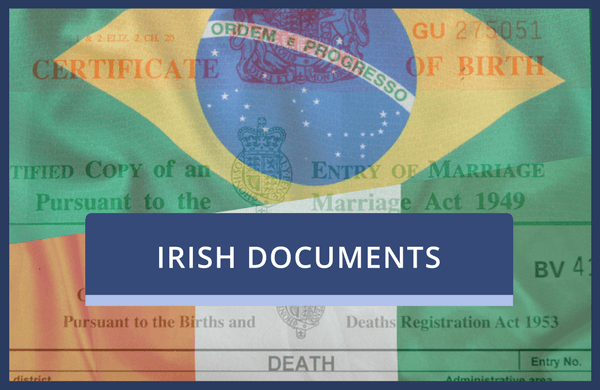 If you want to legalise an Irish Document for Brazil, click the button on the right. Using our Legalisation service for Brazil will give you complete peace of mind and will ensure that you get what you need in a timescale to suit your needs. Our friendly and expert team have many years of experience and handle legalisation for a number of countries on a daily basis. They know what it takes to get your documents legalised and back to you as quickly as possible. 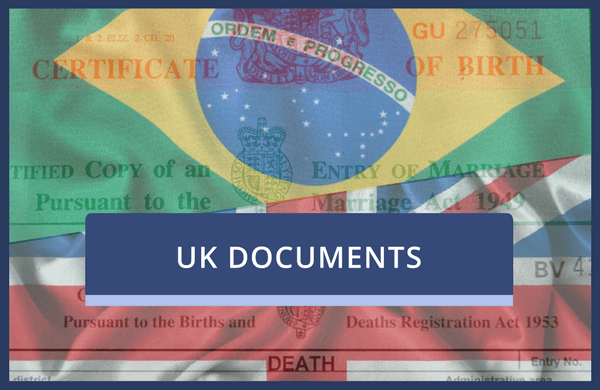 We have helped thousands of clients to have their UK and Irish documents legalised, and haven't once had a document rejected in Brazil. In fact we're so confident about our service that we we'll refund your entire order if your documents are rejected. Don't the documents need to be sent to the Brazilian Embassy? Not anymore! As of 2015, Brazil has become part of the Hague Apostille Convention, which means that your documents only require a UK Apostille Stamp for them to be recognised for use in Brazil. Since Brazilian Embassy Legalisation isn't required any longer, the service is a lot cheaper than it used to be. Still have questions? There's a specialist team ready to answer any queries you might have. Just call 0330 088 1142 and they'll make sure to put you at ease. Alternatively, you can fill in our enquiry form or contact us.